Ron Geaves seeks to go beyond these stereotypical images of Islam, to reveal its full diversity of Islam in the contemporary world. - Publisher Accessibly written for the general reader, this book is an introduction to a number of contemporary controversies in the Islamic world. - Publisher Since 9/11 hardly a day goes by without media coverage of suspected terrotist activities linked to Muslims. Reporting of these events can frequently be one-sided, and fails to satisfy the intense curiosity about Muslim beliefs and practices. In this book Ron Geaves seeks to go beyond the stereotypical images, to reveal the full diversity of Islam in the comtemporary world. Beginning with a chapter on how the western media represents Islam, he moves on to examine issues such as martyrdom, shari'a law, jihad, fundamentalism, the place of women and the importance of the concept of unity. Ron Geaves is Professor of Religious Studies at University College Chester. Accessibly written for the general reader, this book is an introduction to a number of contemporary controversies in the Islamic world. Since 9/11 hardly a day goes by without media coverage of suspected terrotist activities linked to Muslims. Reporting of these events can frequently be one-sided, and fails to satisfy the intense curiosity about Muslim beliefs and practices. 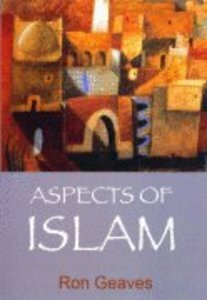 In this book Ron Geaves seeks to go beyond the stereotypical images, to reveal the full diversity of Islam in the comtemporary world. Beginning with a chapter on how the western media represents Islam, he moves on to examine issues such as martyrdom, shari'a law, jihad, fundamentalism, the place of women and the importance of the concept of unity. Ron Geaves is Professor of Religious Studies at University College Chester. Geaves is Senior Lecturer responsible for the development of Religiouis Studies at Chester College of Higher Education.